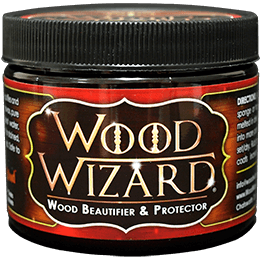 The Wood Wizard® may be applied directly from jar with a clean rag. The Wood Wizard jar may also be placed in the sun to soften/melt and then it may be applied with a brush or rag. Apply sparingly, making sure to penetrate all surfaces and joints. There is no need to avoid metal surfaces as Wood Wizard® is safe for metal – it will not change metal patina – and it provides a water protective barrier. Let the Wood Wizard penetrate for a minimum of 10 and up to 60 minutes. Wipe excess off of all surfaces with a clean rag. Go over all surfaces a final time with a clean rag using a buffing motion to bring out the natural sheen. 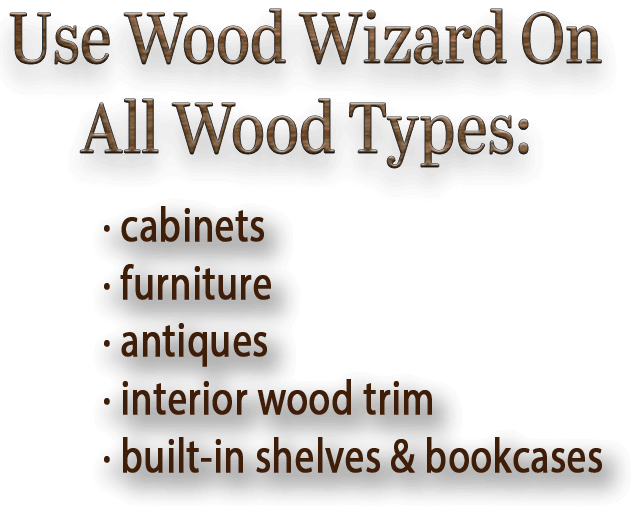 Wood Wizard® restores, preserves, beautifies, protects and waterproofs wood, furniture, cabinets and antiques.